After having the aquarium almost empty over summer, I finally got round to start it up again. I reinstalled the Tunze nanostream, went back from the finer, brown Maerl gravel to normal, coarse gravel and collected some new rocks (slate I think). I looked for these on the middle shore; on the lower shore they are covered with the barnacles and limpets that I do not want and on the high shore they have not yet been eroded by water and have very sharp edges. Still have to get used to the new look. Now on to collect some animals! 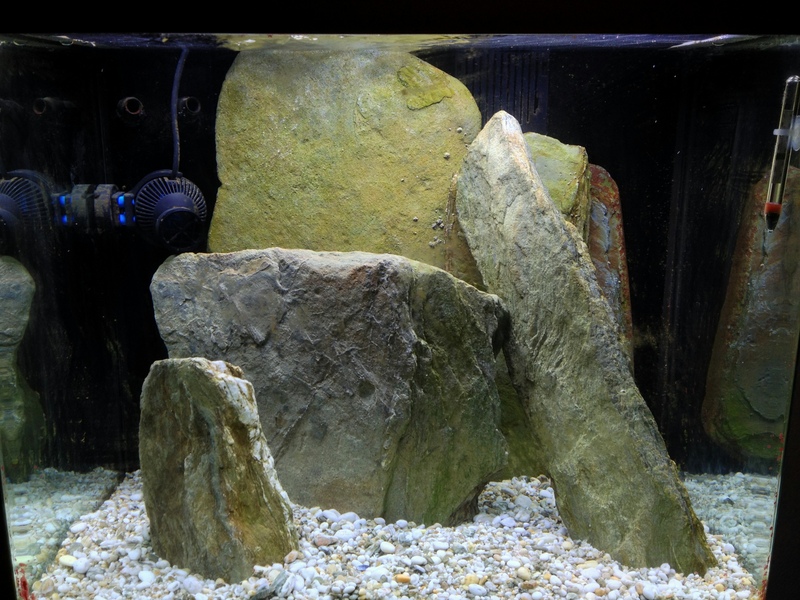 This entry was tagged aquarium, gravel, Red Sea Max 13oD, rocks, tunze nanostream. Bookmark the permalink.